Puppy Kindergarten and Socialization Class designed to give dog parents and their newest addition to the family the head start they deserve!By hosting weekly puppy kindergarten and socialization classes for puppies between the ages of 8 weeks and 18 weeks of age, we offers puppy owners a safe and supervised place to bring their not-yet-fully vaccinated puppies to immediately begin the process of "safe socialization". We allow you to take the first class without any obligation to see if it's the right fit for you. If you enjoy the class, you can simply sign up and pay after the class. After you take the first class, if you like it you can enroll at the end of class. We do have a "New Client" promotion going on. Instead of our list price of $199.00, you would pay $149.00 for the entire 7 week course. In addition to having your puppy become "super socialized", your dog will learn basic dog obedience with "watch me", "stay", "come", "down", "loose leash walking", "leave it" & "go to your bed". Your dog will learn this with hand signals and voice cues. No harsh corrections. In our puppy socialization classes, we also allow the puppies off leash while trainers monitoring all the play to ensure your puppy develops proper social skills. This is also the time when your puppy will learn important bite inhibition skills. We also give you a greater understanding of your role in your dog's behavioral obstacles and how they originated. We then provide you with many practical applications on how to overcome them, turning them from potential negative experiences into positive healing opportunities. 7 week revolving course. You can start any weekend you wish as long as there is a spot available. Please keep in mind, we do not have a beginning or end date with our classes. 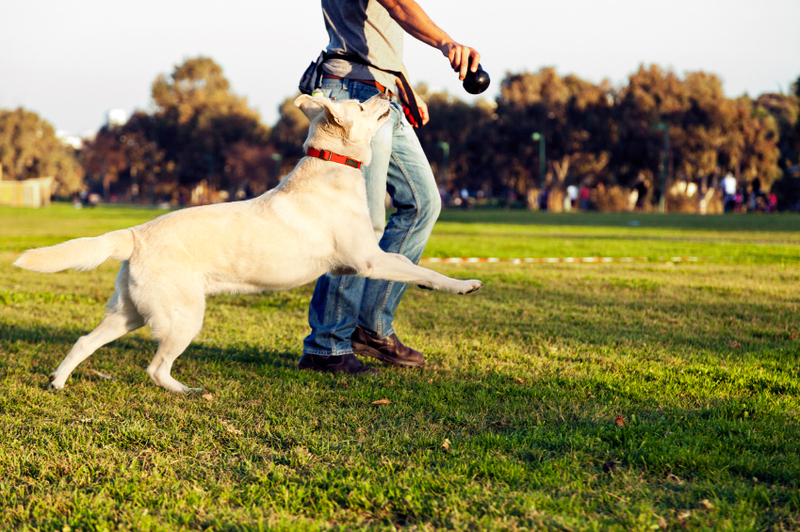 Each week is a brand new basic obedience lesson and socialization event. Once you complete 7 classes, your puppy will become a Puppy Kindergarten Graduate (cap and gown optional)! *Make up classes are offered for any classes you may have to miss along the way. *Need a refresher? We allow you to "retake" any class for any reason. Upon receipt of payment, you will be given a unique "passcode" to gain access to Training Educational Center. This password protected part of the Karma Dog Training website is where you'll find all of the Karma Dog Training course materials we teach during the course. Want more info? call us at 713-701-9635. (Space is limited).